This insulated beverage dispenser is made of hand-glazed ceramic and features thick, thermal-mass walls that retain temperature. Hot beverages will stay hot and cold drinks cold in these American-made products. Drinks can easily be filled from the spigot and ice added by removing the lid. However, this product can be ordered with or without the spigot and is microwave, oven, freezer, and dishwasher safe. 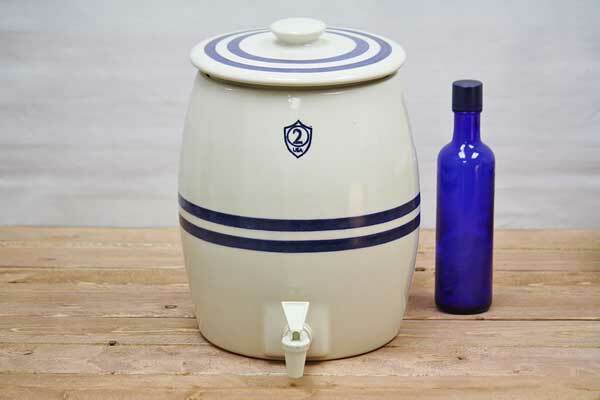 We also offer gallon and half gallon ceramic moonshine jugs. All of our stoneware contains no lead or harmful chemicals. Slight variations in shape, color, and texture occour due to the natural process of pottery making.